DAYTONA BEACH, Fla. — The record will reflect that Joey Logano won Sunday’s 57th Daytona 500 under caution, when a multicar wreck on the backstretch forced NASCAR to wave the yellow flag as Logano led the field into the final corner on the second lap of a green-white-checkered-flag finish. But the notation of that final caution does no justice to the memory of a race that produced some of the most scintillating restrictor-plate racing in the history of the NASCAR Sprint Cup Series. From a restart on Lap 182 of a scheduled 200, fans standing—not sitting—in a packed front grandstand were treated to 16 straight laps of close-quarters, three-wide racing that saw the lead change from one lap to the next, as one line or another would inch ahead. Indeed, NASCAR’s loop data statistics said Sunday’s race set a Daytona record for green flag passes (12,677 in all). The final two-lap sprint, on the other hand, was no contest. Logano picked the outside lane for the restart on Lap 202 and surged ahead of second-place Jimmie Johnson when the bottom lane didn’t move as quickly as expected. Kevin Harvick was second when NASCAR threw the final caution and froze the field. Defending race winner Dale Earnhardt Jr. charged from eighth to third before the yellow. Denny Hamlin ran fourth, followed by Johnson and Casey Mears. But it was Logano who earned the trip Victory Lane, continuing unabated from a breakout 2014 season that saw him win five times in the Sprint Cup Series and qualify for the final round of the Chase for the NASCAR Sprint Cup before finishing fourth in the final standings. If Logano streaked away on the final restart, it was Clint Bowyer who helped move him into position to win the race during the 16-lap green-flag run that preceded the sixth caution on Lap 198. Logano could barely contain himself when recalling the action of the closing laps. 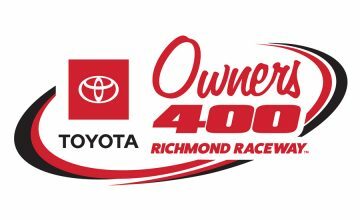 With a shove from Bowyer, Logano took the lead from Jimmie Johnson on Lap 191 and held it until NASCAR called the caution for Justin Allgaier’s spin seven laps later. 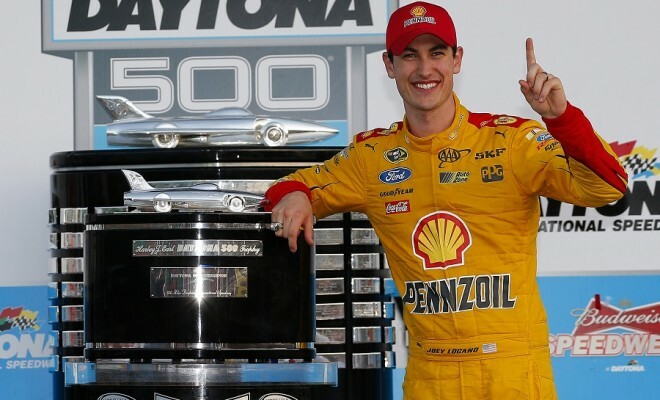 “I keep looking at this trophy, and it’s amazing,” Logano said after climbing from his No. 22 Team Penske Ford. “What a beauty. … Now I lost my train of thought. I’m sorry. I’m so distracted right now. Logano’s ninth win in the Cup series in all likelihood will mean a return trip to the Chase. It’s also the second victory for team owner Roger Penske in the Great American Race, the first coming in the 50th edition of the event in 2008, with driver Ryan Newman. Logano’s victory also extended a remarkable four-race streak for Ford, which won the Rolex 24 Hours in January and swept the NASCAR weekend with triumphs in the NASCAR Camping World Truck Series on Friday (Tyler Reddick) and NASCAR XFINITY Series on Saturday (Ryan Reed). Earnhardt felt he had the strongest car in the field, but a mistake on the Lap 182 restart shuffled him from third all the way out of the top 15. For the balance of the race, the driver of the No. 88 Chevrolet fought his way back toward the front but wasn’t in position to make a play for the win at the end. Earnhardt had planned to tuck in behind Johnson, his teammate, after the restart, but didn’t have room to make the move. “Jimmie was on the quarter panel … he was in a great spot on the guy in front of me,” Earnhardt said. 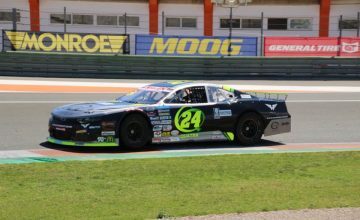 “And I thought if I could get in behind him, he was going to shoot past to the lead, I could tuck on the quarter panel a little bit as soon as I got on that right rear quarter panel. Harvick, the defending series champion, was philosophical about the runner-up finish. “Yeah, definitely, for us it was a good, solid day to start the season,” Harvick said. “Obviously, you want to try to win the race. But sometimes you’re just happy to keep rolling and going out of here and head to Atlanta (next Sunday) with a solid day. Polesitter Jeff Gordon, racing in the Daytona 500 for the last time, was a victim of the wreck that brought out the final caution. Gordon dominated early, leading a race-high 87 laps, but the late wreck dropped him to 33rd at the finish. “This was an amazing week and an amazing day,” Gordon said. “I’m just in a different place that is so foreign to me, but so incredible–to just be taking it all in and enjoying every moment. Notes: Regan Smith finished 16th in the No. 41 Stewart-Haas Racing Chevrolet in relief of suspended driver Kurt Busch. … Matt Crafton finished 19th as an 11th-hour substitute in the No. 18 Joe Gibbs Racing Toyota, after driver Kyle Busch was sidelined with a broken leg in Saturday’s XFINITY Series race. … A blown engine relegated 2012 series champion Brad Keselowski to a 41st-place finish. … Danica Patrick ran 21st in her fourth Daytona 500 start.